Inspiration can come from anywhere, but for Al’s Garden & Home in Oregon, they didn’t have to look very far. They took a hot topic in the industry right now, pollinators, and transformed it into a series of displays for 2017. The theme started with butterflies in the spring and has now translated to bees for the summer. Lawn & Garden Retailer sat down with Barb Florig, director of visual merchandising for Al’s Garden & Home, to discuss the colorful, creative displays and how to keep an idea cohesive among its four locations. L&GR: How did the idea of the “Butterflies in the Garden” displays come about? Barb Florig: We do a lot of big visuals here at Al’s, and I always try to incorporate things that we already have as far as recycling goes. This is the big year for pollinators, and everyone is talking about pollinators. I thought butterflies would be a good starting point for spring because they’re very bright, and we could do a lot as far as very large displays and incorporate the message of the pollinators into that. And now we have the bees because the next pollinator campaign is bees, so that’s kind of how the whole thing started. We normally brainstorm in December and talk about what we want to do, and then I have a team of three people [Milt Thompson, Troy Klebey and Portia Fritz] who are great, and I give it to them and let them do the creating and give them the colors and all this recycled stuff. It’s amazing what they came up with this year. What we do is our Sherwood store is probably our biggest, and I have an assistant who works here, so we translate what we’re thinking to the other two. For each season we have one to two days at Sherwood as far as creating say the butterflies and then next the bees. They all have a little individuality as far as the displays go, but they also have lots of similarities so it’s still a branding thing. People know that this is Al’s Garden Center and there are the butterflies and similar colors. L&GR: You mention the colors, which stood out right away to me. How exactly were the butterfly displays created? Florig: We always, every season, pick two or three popping colors for customers because they have gotten used to coming in here and seeing what we’re doing. To be honest, you kind of hit these points where there’s an awful lot of green in between when things are going to bloom next. After spring when everything is screaming with color, it’s nice to have those pops throughout — not everywhere though because a little bit goes a long way; people do notice that and look for it. We used lots of recycled cardboard and recycled paper and then, of course, there’s paint involved. I’m quite the thrift store and dumpster diver person, so I find things like trim and old burlap, and we tend to use a lot of that stuff because I think that’s also a great thing to translate to customers that we reuse a lot of what’s here. We go to a lot of resale places and recycling places and pretty much pick up most of our props. We really do believe in that reduce, reuse, recycle of garbage. L&GR: Have customers responded to the displays? Florig: Oh, they love them! We get amazing customer response, and I think it’s really cute because people come in and say, “We come back here every season to see what you’re doing.” We have people who really do follow us, which is fun. We got a lot questions about how they relate to pollination. And obviously we have them all through the store, so they are not all going to be pollinator plants, but the marketing department did a thing on our e-blast about pollinators too. This year has been a whole campaign as far as the visual part tied in with everything else. Also, last year when we took down the flower displays and took down the vegetables, we offered them to schools and donated them to elementary schools and kindergarten teachers. This year when we took down the butterflies and put up the bees, we gave a lot of them to a couple schools, and they’re going to use them to decorate their schools next spring, so that’s fun too. We don’t have room to store everything and I don’t like to reuse [the same things]. I just think you have to keep coming up with something new. That’s our job, right? And if that brings people in, they’re certainly going to buy when they’re here, and that’s why we’re all here. Here’s what our panel of judges had to say about Al’s Garden & Home’s butterfly displays. Bridget Behe, Michigan State University: Yes, pollinators are a hot topic and butterflies are one of the most beloved pollinators. They achieved their goal of having the eye dance from visual to visual. It worked because they limited the number of bold colors in any one display but carried the theme into several related displays. Christina Salwitz, The Personal Garden Coach: Taking a large and popular idea like “Pollinator Awareness” and using it both graphically as well as educationally wins the day. The bold and colorful use of graphic color embodies excitement and customer discussion. 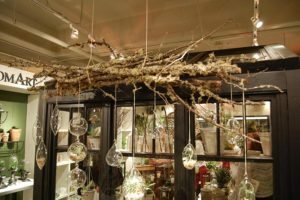 Incorporating pottery, trees, shrubs, perennials and annuals, and home goods allows for a carry through of the theme all the way through the store in a smart way. Sid Raisch, Bower & Branch; Horticultural Advantage: These displays feature eye- popping color and would be easy to shop from, buying one or many of the same plants, without destroying the display. A huge plus is that it would be easy to fluff-up on the fly. Great use of props — inexpensive, fast and easy. The theme is right on trend, and spans the seasons. Bill Calkins, Ball Horticultural Co.: There’s so much creativity out there — it’s tough to judge! Sales and inspiration seem to be the main criteria and all of these finalists hit the mark. Ken Klopp, The Perfect Plant: This display brings a hot topic to life. 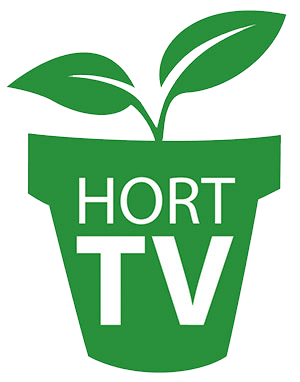 It helps the customer quickly tie the topic to plants and combinations that are inviting to beneficial insects.